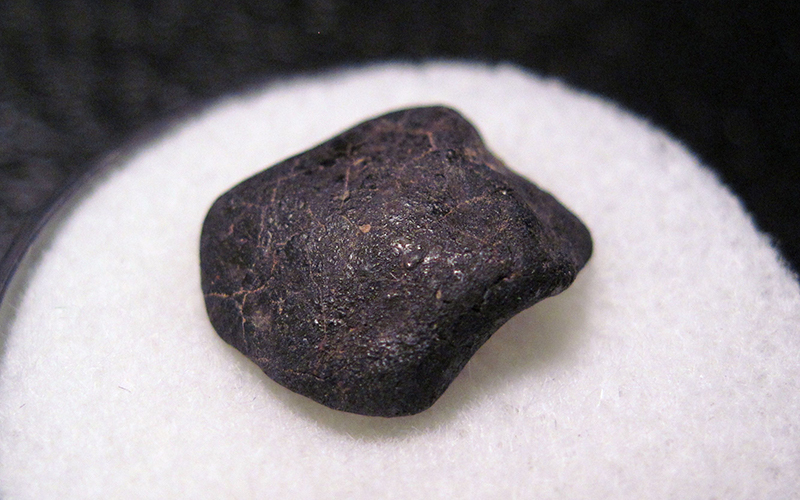 PHOENIX – A meteorite that landed on tribal land a year ago now bears an Apache name. 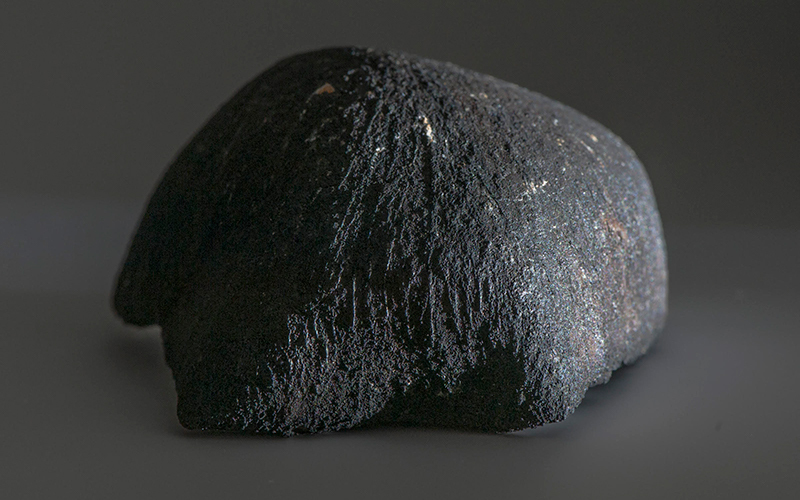 Dishchii’bikoh Ts’iłsǫǫsé Tsee is the official name approved by an international meteorite organization. 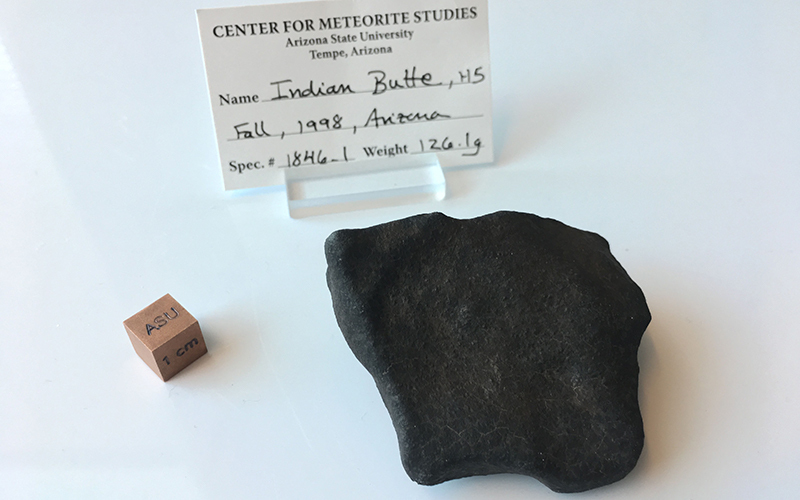 Called Cibecue Star Stone in English, the meteorite was named for the place where it was discovered, near the town of Cibecue on White Mountain Apache land, said Laurence Garvie, the curator for the Center for Meteorite Studies. He led recovery efforts for the meteorite. Garvie said tribal leaders suggested the name accepted by the organization. Witnesses saw and heard the June 2, 2016, meteor fall, Garvie said. Sonic booms that reverberated as it shattered the sound barrier registered on seismographs more than 100 miles away. “Here’s something that’s about ten foot in diameter, traveling about 15 miles per second, hitting the atmosphere, so it’s a big, big event,” he said. Garvie led a search about three weeks after the fall to recover the pieces, working with tribal leaders. Moore, assistant vice president of tribal relations at Arizona State University, said Garvie demonstrated sensitivity. “He wanted to make sure that tribe itself had the opportunity to really have a part of the discovery,” Moore said. The meteor is in rare company. Cibecue is one of only four documented meteorite falls in Arizona history, meaning witnesses observed a meteorite’s descent, according to the American Meteor Society. The organization’s Mike Hankey said people have discovered other meteorites in Arizona but because no sightings accompanied those 41 discoveries, they do not qualify as meteorite falls. 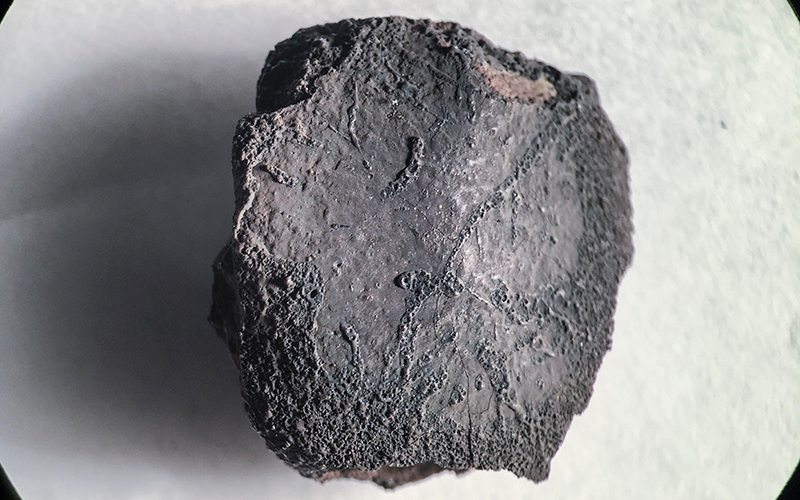 People still hunt fragments from Arizona’s first meteorite fall in Holbrook. Witnesses in a train facility, where many of the fragments fell, described a surreal hail that pelted the surrounding dunes and was at first mistaken for rainfall, said meteorite researcher Robert Ward. A teenager inspired by the sight of a brilliant fireball plunging to earth investigated the event for a month. His passion for meteorites ignited by that first search, eighteen years later researcher Robert Ward would go on to help track and locate the Dishchii’bikoh Meteorite. The rigorous investigation that followed this fall in Cochise County recovered the first segments in less than 45 hours, according to the American Meteor Society. Researcher Jack Schrader’s team pulled off the find before much present-day tracking technology had developed.